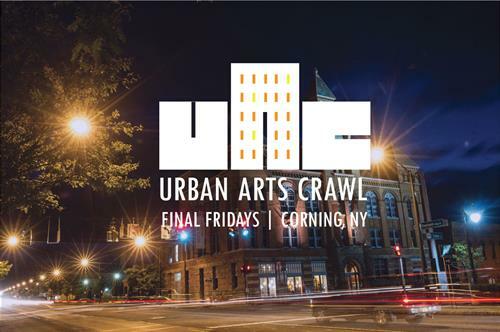 The Urban Arts Crawl celebrates the burgeoning, unique art scene in historic Downtown Corning, each month presenting distinct artists, exhibitions, and cultural experiences. A self-guided, art-centric trail held on the final Friday of each month, all year long. The Crawl includes stops at internationally acclaimed museums, community art centers and independent galleries alike. Final Friday of every month!